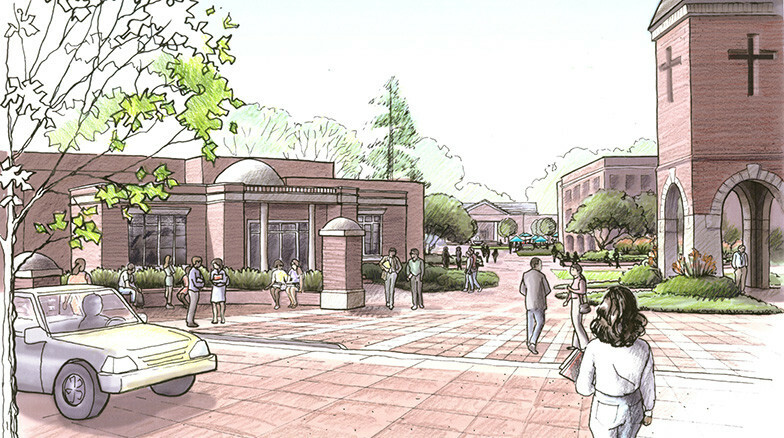 Historic Campbell University in Buies Creek, NC is a 4,000+ student campus offering liberal arts, law, business, divinity and pharmacy programs. Accelerated growth over the last several years resulted in a need to update facilities and grow programs. 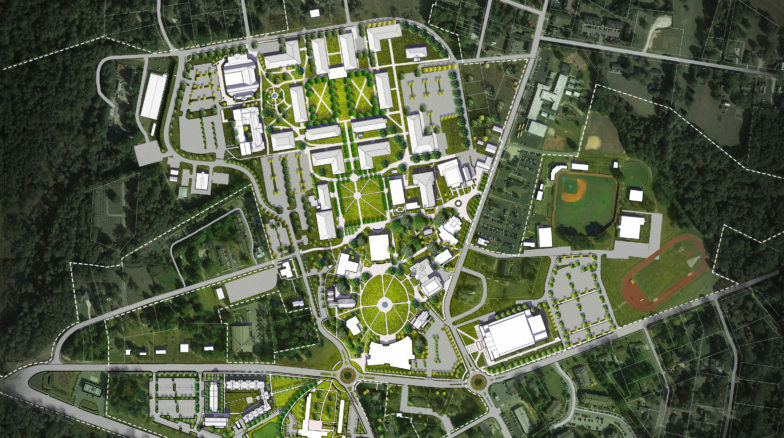 A team led by Surface 678 combined the efforts of architects and traffic engineers to produce a Master Plan responding to long term goals and short term projects. 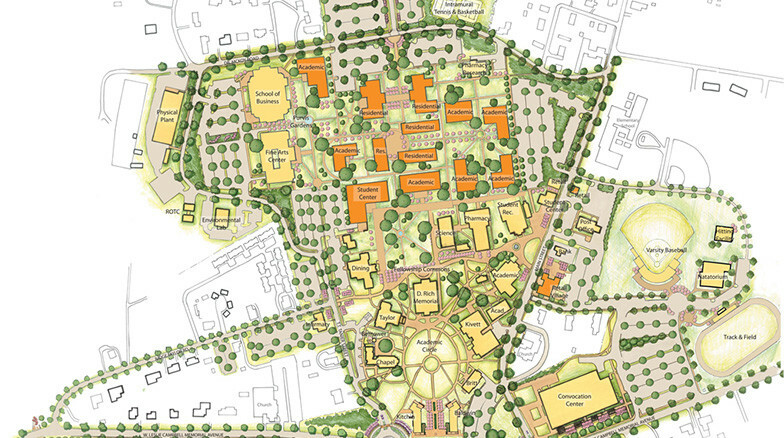 The Master Plan provides analysis of existing context, buildings, edges, entrances, open space, landscape, traffic circulation and parking through discussion and mapping. 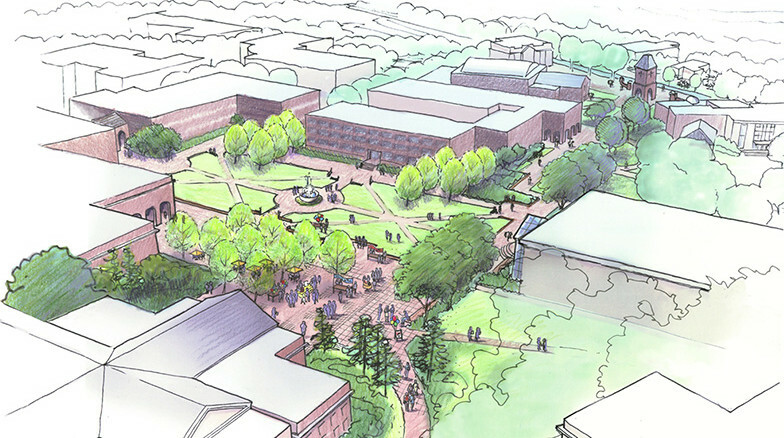 The plan provides a vision that includes new buildings, campus spaces, landscape improvement, parking and circulation modifications, and establishment of edges and entrances. The 10-month process included a very active President and many media presentations showing iterations and revisions. 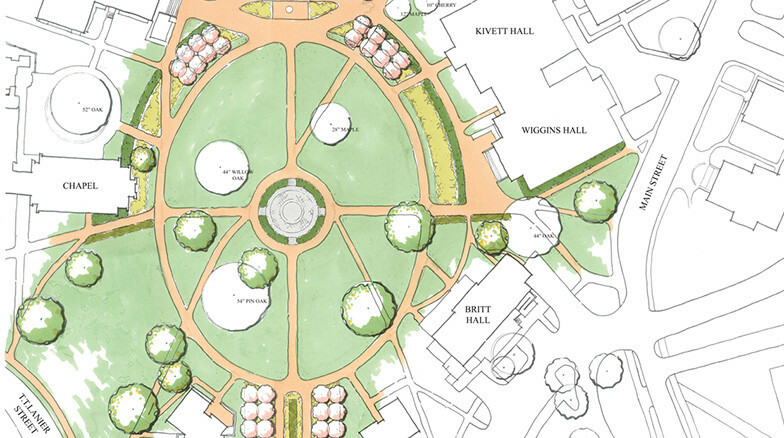 Since the adoption of the Master Plan, the University has embarked on a substantial building campaign that has eclipsed the previous 50 years’ worth of construction in the past three years alone.